Our latest release is a four way split 7″ record, maximum bang for your buck here. Dead Volts, American Dirt, 50 Watt Heavy and Grub Dog & the Amazing Sweethearts all turn in tight and punchy songs on this micro-mini comp. Get it! Long awaited and well worth it…. 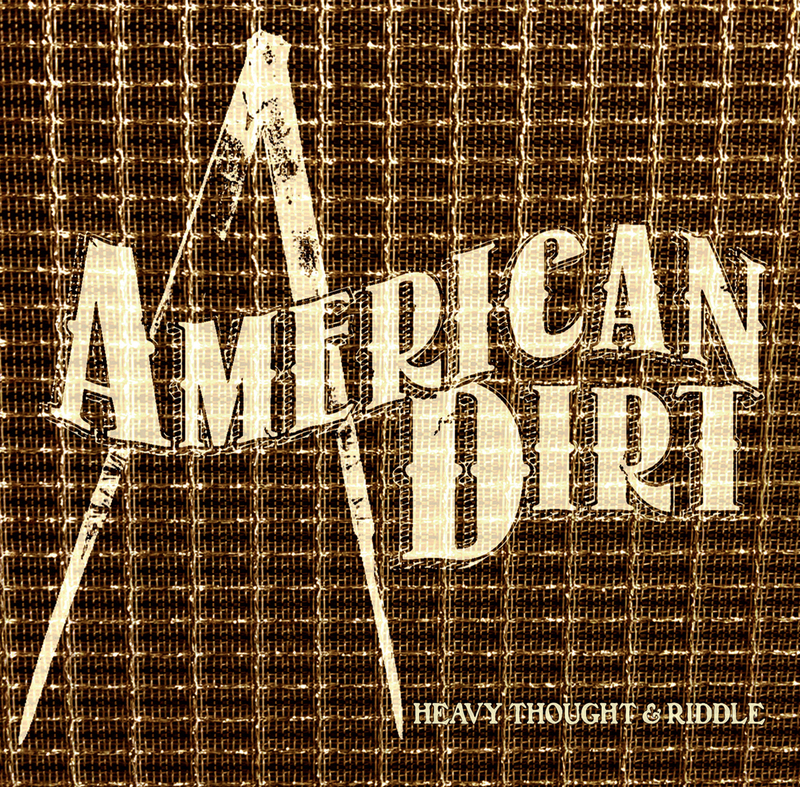 We are very proud to be a part of the debut album from American Dirt, “Heavy Thought & Riddle”. These guys have been putting in the work and becoming a really great band. This album is a killer set of tunes that you will undoubtedly be singing along with well after you finally stop listening and are just trying to get some damn sleep. Trust me I know these things. 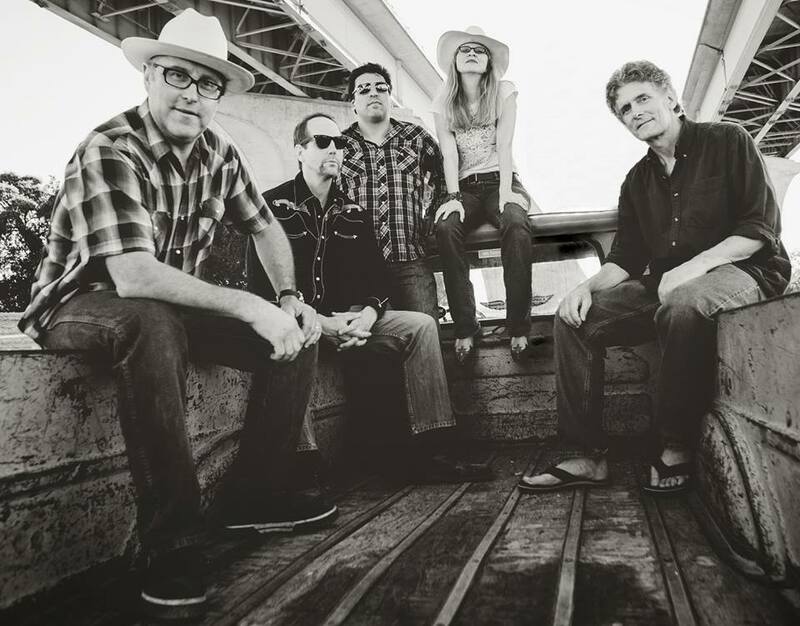 We celebrate the release of this album on Saturday July 27th at Camozzi’s in Atascadero. 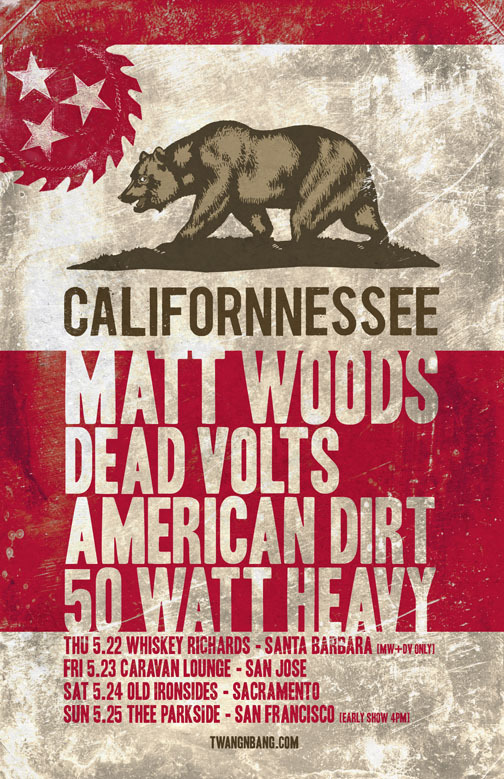 American Dirt will of course be laying down a set featuring songs from the new album and with guest drummer Mark Folkrod holding down the drum throne. Mark’s band the Dead Volts (ever heard of them?) are on the bill as well as the debut of former drummer JP’s brand spanking new band Harvey Dent. So yeah it’s gonna be a pretty killer busy night. Super proud of how this comp came out. Amazing bands and singers doing amazing songs. Dig in!